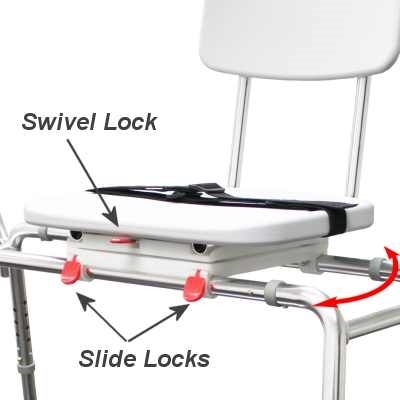 Sliding seat swivels to make getting into a bathtub easier. Backrest can be installed on either side of the seat. Swivel seat turns 360 degrees, and locks every 90° allowing easier entry to and exit from bench. The NEW! 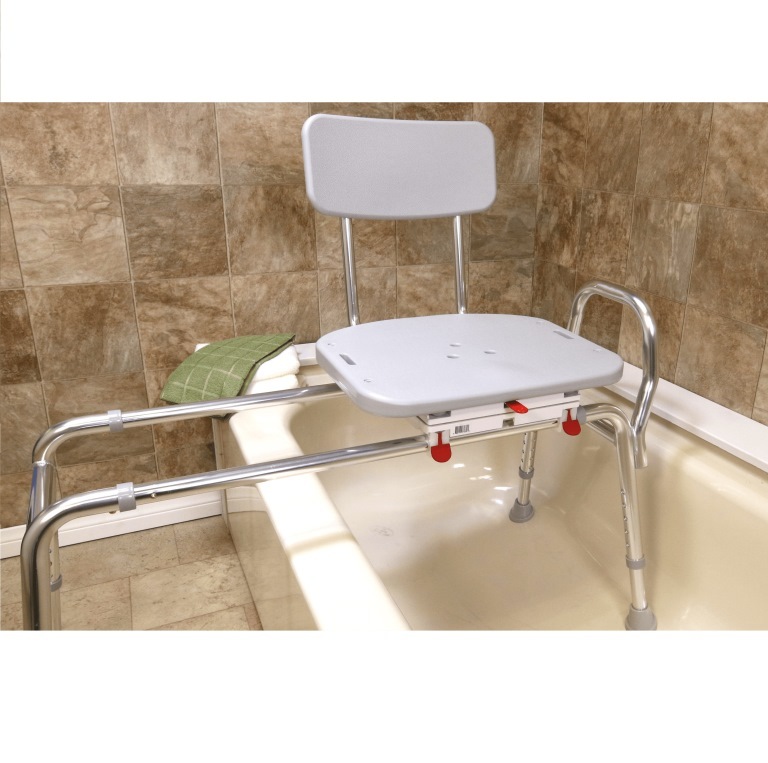 Sliding Transfer Bench with Molded Swivel Seat 77662 eases the transfer into a bathtub by allowing users to sit down, and slide the seat into the tub area. 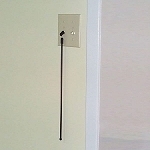 Caregivers will find this new and improved model is lighter, stronger and sturdier. 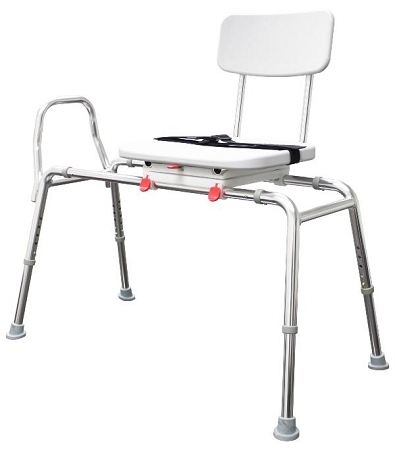 The New Snap-N-Save Sliding Transfer Bench with Swivel Seat is made with upgraded materials and has an adjustable seat restraint for added stability and safety. 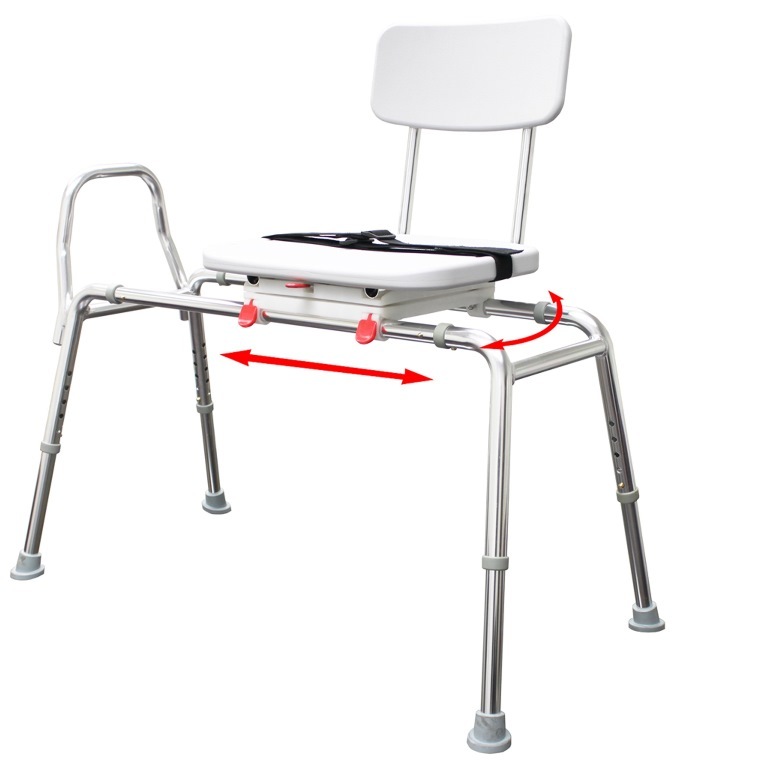 Users can easily turn the seat to make transferring from a wheelchair easier. 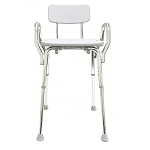 The seat swivels 360°, locks every 90°, and glides smoothly over polished, high-strength aluminum tubes. 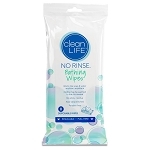 The seat is made of molded plastic with a non-slip textured finish, has an integral shower-head holder, and includes a safety belt. The molded textured non-slip backrest can be installed on either side of the seat. 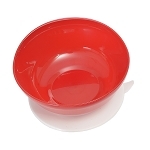 The seat height adjusts to fit user and bathtub clearance. 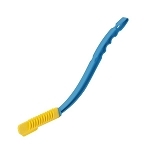 Strong suction tipped legs stop movement on wet surfaces for increased stability and safety. Model: Eagle Health 77662 (Replaces 37662). I have only been using my bench for a week but I really like it. I have arthritis and am unable to stand in the shower. This bench ( bought the long bench) is a lifesaver for me and I can get my chair up to the shower, get on the seat, slide in and move the curtain in place without my husband helping me. He also uses the bench because he has a nerve problem in one leg. I am so glad I found your website, thanks to my daughter. This bench works great. It has definitely simplified transferring my father into the shower.